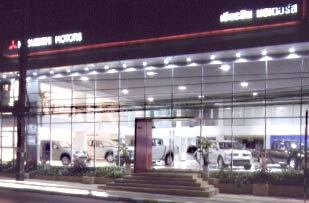 you are here : home > vehicle & technology > Tiansin Motors Co., Ltd.
Tiansin Motors Co., Ltd. is one of the premier Mitsubishi dealers in Phuket. Our commitment to customer service is second to none. We offer one of the most comprehensive parts and service department in the automotive industry. We are dedicated to giving our customers the best vehicle buying experience possible. Our primary concern is the satisfaction of our customers. We are very interested in any points you would like to discuss with us. Use the e-mail address listed above to send an e-mail directly to our Customer Relations Specialists and/or dealership General Manager.